The X-01 Left Leg is a Power Armor piece in Fallout 4. This Left Leg can be customized using armor mods. 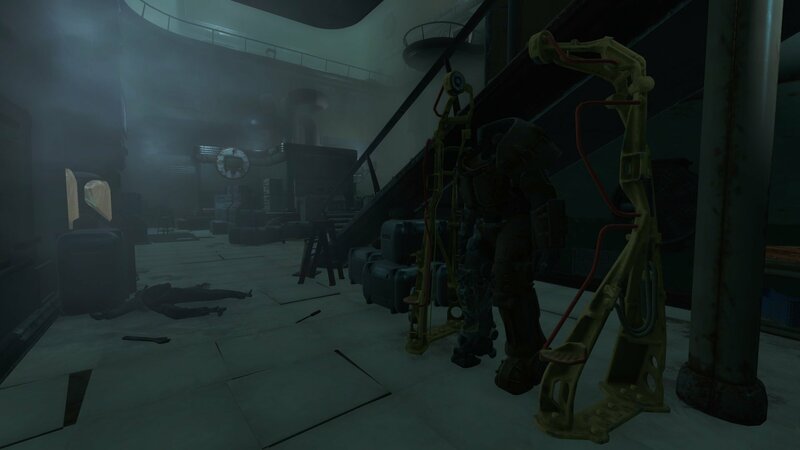 Below is a list of locations where you can find X-01 Power Armor set or parts. Behind Proctor Teagan in a cage at The Prydwen is the helmet. Buy (or steal) parts from Rowdy at the Atom Cats Garage. In a small secured area at the back of South Boston Military Checkpoint. A terminal (expert) needs to be hacked to have access. On the coast to the East of Diamond City -- Near the Custom House Tower, in a building called "Court 35". Take the elevator to go up and fight the robots that attack to reveal hidden rooms. Inside press the red button on the wall in each room to open a glass cell with the armor inside. You can also find the full suit (depending on your level) at the top level of the 35 court building, which can be located downtown Boston by the custom house tower. Beware There is a assultron and sentry-bot at the top! At the National Guard Training Yard there are some pieces lying in the armory. You will have to pick a lock (Master) or hack a terminal (Master) to gain access. There are also traps inside that trigger a Sentry Robot fight. 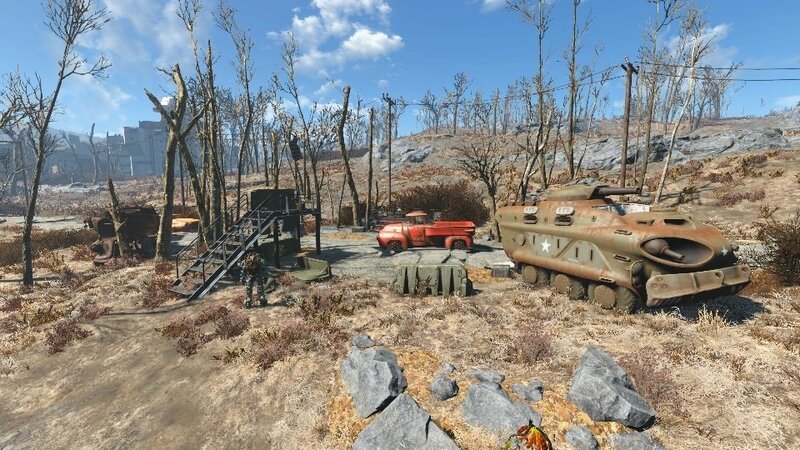 Halfway down the road between Nordhagen Beach and Fort Strong, inside a concrete guardhouse. You can just walk in and take it. Goodneighbor -- In the tunnels you find in The Big Dig. It is at the end, inside the room with the Legendary Lizard. Southwest of Lake Cochituate -- Standing under a tree at the old checkpoint. Murkwater Construction Site -- in the water, near the crashed Vertibird. East of the Milton General Hospital, near the Infantry Fighting Vehicle (IFV).